UCLA research has shown that children with attention-deficit hyperactivity disorder are far more likely than other kids to develop serious substance abuse problems as adolescents and adults. But do stimulant medications used to treat ADHD contribute to the risk? UCLA psychologists have conducted the most comprehensive assessment ever on this question and have found that children with ADHD who take medications such as Ritalin and Adderall are at no greater risk of using alcohol, marijuana, nicotine or cocaine later in life than kids with ADHD who don't take these medications. The psychologists analyzed 15 long-term studies, including data from three studies not yet published. These studies followed more than 2,500 children with ADHD from childhood into adolescence and young adulthood. "We found the children were neither more likely nor less likely to develop alcohol and substance-use disorders as a result of being treated with stimulant medication," said Kathryn Humphreys, a doctoral candidate in UCLA's Department of Psychology and lead author of the study. "We found no association between the use of medication such as Ritalin and future abuse of alcohol, nicotine, marijuana and cocaine." The children assessed in the studies, who had a mean age of 8 years old when the studies began and 20 at the most recent follow-up assessment, come from a broad geographical range, including California, New York, Michigan, Pennsylvania, Massachusetts, Germany and Canada. The research is published in the May 29 issue of the journal JAMA Psychiatry, a leading psychiatry research journal published by the American Medical Association. What does this study mean for parents of children with ADHD? "For any particular child, parents should consult with the prescribing physician about potential side effects and long-term risks," said Steve S. Lee, a UCLA associate professor of psychology and senior author of the study. "Saying that all parents need not be concerned about the use of stimulant medication for their children is an overstatement; parents should have the conversation with the physician. As with other medications, there are potential side effects, and the patient should be carefully evaluated to, for example, determine the proper dosage." "For parents whose major concern about Ritalin and Adderall is about the future risk for substance abuse, this study may be helpful to them," Humphreys said. "We found that on average, their child is at no more or less at risk for later substance dependence. This does not apply to every child but does apply on average. However, later substance use is usually not the only factor parents think about when they are choosing treatment for their child's ADHD." Ritalin is associated with certain side effects, such as suppressing appetite, disrupting sleep and changes in weight, Lee said. 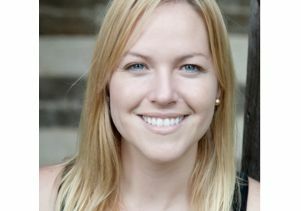 Lee, Humphreys and their colleagues reported in 2011 that children with ADHD are two to three times more likely than children without the disorder to develop serious substance-abuse problems in adolescence and adulthood, including the use of nicotine, alcohol, marijuana, cocaine and other drugs. This new study does not challenge that finding but finds that, on average, children who take stimulant medication for ADHD are not at additional risk for future substance abuse. "The majority of children with ADHD — at least two-thirds — show significant problems academically, in social relationships, and with anxiety and depression when you follow them into adolescence," Lee said. As the individuals in the studies get older, researchers will be able to study the rate at which they graduate from college, get married, have children and/or get divorced and to assess how well they function, Humphreys said. ADHD occurs in approximately 5 percent to 10 percent of children in the U.S., and figures in many other industrialized countries with compulsory education are comparable, according to Lee. ADHD is about three to three-and-a-half more prevalent in boys than girls, he said. Symptoms of the disorder include being easily distracted, fidgeting, being unable to complete a single task and being easily bored. However, to receive a diagnosis of ADHD by a child psychologist or psychiatrist, a child must have at least six of nine symptoms of either hyperactivity or inattention, the child's behavior must be causing problems in his or her life, and the symptoms must not be explainable by any medical condition or any other mental disorder. Children can be hyperactive, distracted and inattentive for a variety of reasons, Lee said, not only because of ADHD but also because some of them are abused, malnourished, depressed or have impaired vision, Lee said. Many more children meet the criteria for ADHD than are being treated for it, and many children may benefit from treatment who are not receiving it, Lee and Humphreys said. Lee's laboratory is conducting a study of 230 children, both with and without ADHD, who were 6 to 9 years old at the beginning of the research and are now 10 to 13, to identify predictors of early and problematic alcohol use. That research is federally funded by the National Institutes of Health. As children with ADHD enter adolescence and adulthood, they typically fall into three groups of roughly equal size, Lee said: one-third will have significant problems in school and socially; one-third will have moderate impairment; and one-third will exhibit only mild impairment. 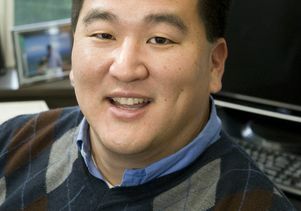 Timothy Eng, a former UCLA research assistant in Lee's laboratory, is a co-author of the current study. The current research was funded by the National Institutes of Health (grant 1R03AA020186). For information on ADHD, visit the National Institutes of Health's ADHD page.